Vitamin C content in the Strawberry Guava is a high (62%) giving them relatively high dietary antioxidant value among plant foods . 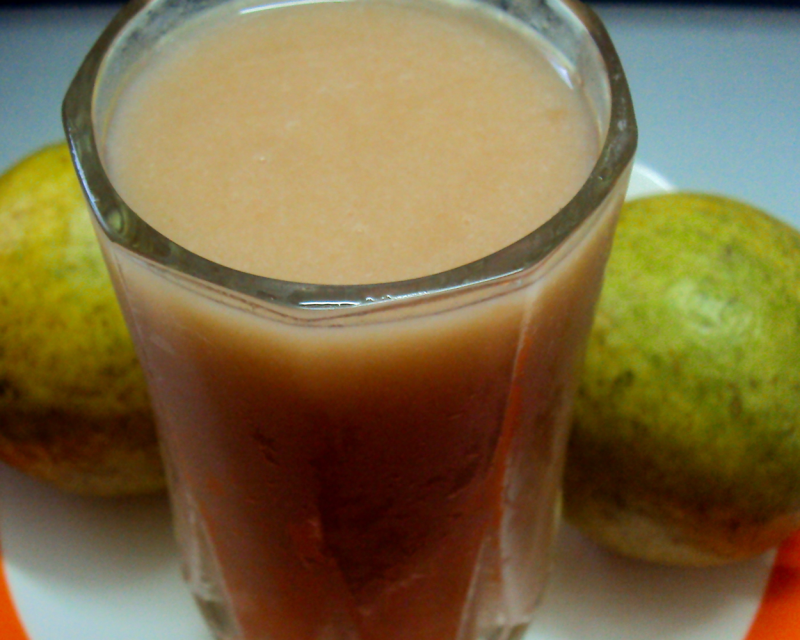 'Thai Maroon' guavas, is extremely rich in antioxidants .Green apple guavas are less rich in antioxidants. Blend the quava pieces and soymilk first for 2-3 times. Add sugar or sugar free,honey ,vanilla essence and horlicks.Blend this for 2-3 times. Serve immediately or refrigerate for 10-15 mins and serve chilled in 4 glasses.This quava-soy milkshake is gritty in texture. Good thing u did rabz!,Try this with 1 tbsp extra sugar for kids at home.Thanks & Bye!. I esp bought soy milk to try out this one. Thanks. Yes Ofcourse,try it with low fat milk Khuserv!. Can I use milk instead of soy milk? Thanks Christy.